Fran Castan (photo by�Mia Santa Cruz)�is author of The Widow’s Quilt (1996), a poetry collection, and Venice:� City That Paints Itself (2010), a collection of her poems and of paintings by her late husband, Lewis Zacks. Both are Canio’s Editions, Sag Harbor, N.Y. �Fran has won the Poetry Society of America’s Lucille Medwick Award; an Academy of American Poets and New York University joint award; fellowships at The MacDowell Colony and The Virginia Center for the Creative Arts; and a teaching fellowship at New York University.� She was named The Long Island Poet of the Year 2013 by The Walt Whitman Birthplace Association.� Though Fran worked happily as a magazine editor, a freelance writer and a teacher of writing and literature, she always wanted to be a medical doctor. �She has an M.A. 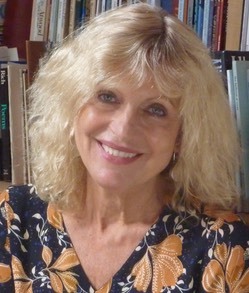 in Creative Writing from New York University and another in Languages, Literature and Communication from Columbia University.�Her poems have appeared in such periodicals as Poetry Magazine, Ms. Magazine and Paterson Literary Review as well as anthologies, including From Both Sides Now:� Poems of the Vietnam War and Its Aftermath (Scribner); Seasons of Women (Norton) and On Prejudice:� A Global Perspective (Anchor/Doubleday). Her freelance work has appeared in The New York Times and on The Public Broadcasting Service (PBS). 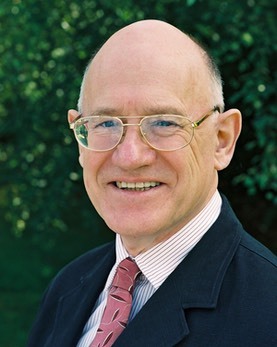 Paul Crichton is a consultant psychiatrist who has worked in the UK NHS for many years. Natalie Crick, from Newcastle in the UK, has poems published in various journals including The Interpreter's House, The Moth, The Manchester Review, The Lonely Crowd, Banshee, Strix, Bare Fiction, Lighthouse, New Welsh Review, The Honest Ulsterman, Crannog, Poetry Salzburg Review and elsewhere. She is studying for an MA in Writing Poetry at Newcastle University and will commence an MPhil in Creative Writing at Newcastle University in October 2019. Natalie has read her poetry at local poetry readings in addition to more prestigious events like Newcastle Poetry Festival. As well as other successes in competitions, her poetry has been nominated for The Pushcart Prize twice, shortlisted for The Anthony Cronin international Poetry Award 2018 and one of her poems was a runner-up in the PBS & Mslexia Women's Poetry Competition 2018, judged by Carol Ann Duffy. About the inspiration behind her commended poem she said: "The mouth that did It attempts to get inside the head of an individual suffering from an eating disorder; bulimia. I wanted to make my poem as authentic to the illness as possible, which was a challenge as I have no personal experience of this disorder and could only imagine the feelings of a sufferer. In writing the opening lines of my poem I felt it was important to discuss the mouth itself to physically accentuate the difficulties encountered by a bulimia sufferer. The mouth is dominant. Thoughts of food are ever present. Lately I have enjoyed writing short sequences of poems about eating disorders, which I plan to include as part of my MA Writing Poetry portfolio assignment (Newcastle University). The often surreal language in my poems on this theme is inspired by the visceral poetry of Selima Hill." 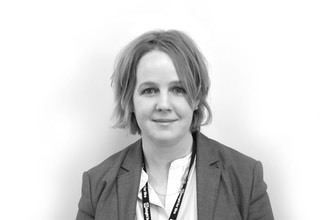 Claudia Daventry�has studied languages, poetry and psychology and worked as a writer, translator and teacher in France, Spain and the Netherlands before moving to Scotland, where she now lives. Her poetry and essays have appeared in various publications including The Dark Horse, The Island Review, the Irish Literary Review, Magma, Poetry London, Poem, Raum, Measure, Versal and �anthologies from Bloodaxe, Five Leaves, Smokestack and Luath. 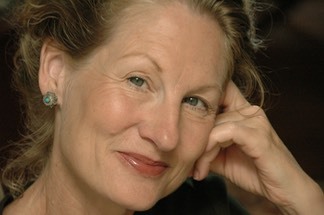 Her work has won several awards and commendations, including Arvon, Philip Larkin and McLellan prizes, and was placed first in the inaugural Ruskin prize and Bridport Prize. She is interested in looking for ways to translate poetry other than linguistically, and working with composer Rory Boyle has recently written libretti for the Glasgow Commonwealth Games and Songs from the Marshes, a cycle of folk songs for the JAM on the Marsh music festival, performed last year on BBC Radio 3. Her solo chapbook, which won a Templar award in 2016, is The Oligarch Loses his Patience. She said:�"for my Valentine in an fMRI scanner�was inspired by the colours shown up by neuroimaging subjects with PTSD and TBI as the brain reacts to different stimuli, and seeing the beloved in a new light. Formally it’s a nod to a kind of scrambled love sonnet which has two halves set as if magnetically drawn to one another, a sestet between the two quatrains, and I had fun playing with the Latin and Greek terms for areas of the brain, their functions and the images they conjured up, either via etymology or just the music of the words. In its essence it’s about the ’subject’ as a human being, and, more, loving someone who may be termed ‘disordered’ from the outside, but whose brain on the inside lights up in glorious technicolour – and whose trauma makes them beautiful." Nicola Healey’s poems have been published in The Poetry Review, The London Magazine, The Spectator, The Dark Horse and (forthcoming) PN Review. She won the Seren Christmas Poetry Competition 2018 and was commended in the Hippocrates Prize for Poetry and Medicine 2017 and the Resurgence Poetry Prize 2015. 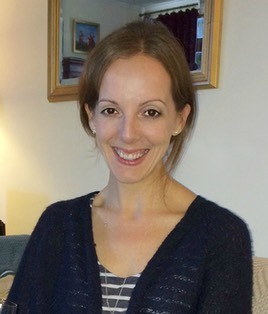 A PhD graduate of the University of St Andrews, she is the author of Dorothy Wordsworth and Hartley Coleridge: The Poetics of Relationship (Palgrave Macmillan, 2012) and several essays on the Coleridge family. She said: "Disarticulation�explores both the limits of language in communicating distress and how anorexia nervosa is often, paradoxically, a survival mechanism – a (futile) striving for a personal integrity, in the senses of both wholeness and honesty, that is under threat. The poem also contrasts the complexity of the disorder with how wellness is commonly judged on appearance." Natalie Ann Holborow is a Swansea-born writer of poetry and fiction. 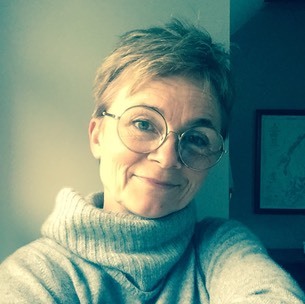 She was the 2015 winner of both the Terry Hetherington Award and Robin Reeves Prize and has been shortlisted and commended for various others including the Bridport Prize, the National Poetry Competition and the Gregory O'Donoghue International Poetry Prize. Her debut collection, And Suddenly You Find Yourself, was published by Parthian Books in 2017. 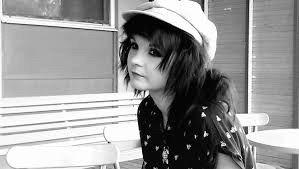 She is currently writing a second poetry collection and a non-fiction book for young people with type 1 diabetes. 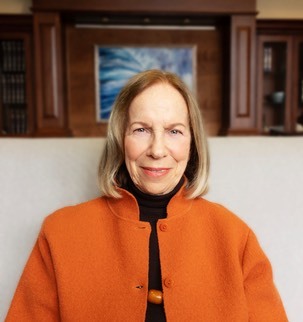 She said: "I wrote Gestalt Therapy�after a particularly challenging therapy session in which I had to imagine the person who upset me sitting in an empty chair and talk to it as an empathy exercise. The symbolism of that person's absence, and the tumult of emotion that seemed to bubble from nowhere, drove me to silence so I instead wrote 'Gestalt Therapy' on the back of a receipt in tears in the hospital car park. For me, writing and creativity are the the greatest forms of therapy of all – it's an act of reconnecting with the person you are beyond the words in your medical notes." 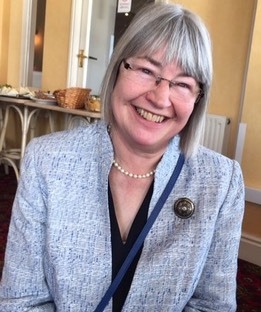 Lorraine McArdle’s poems have been published in The Interpreter’s House and The North, and she was selected for Poetry Ireland’s upcoming 2019 Introductions Series.� She was shortlisted for Poems for Patience 2019 and the Cuirt New Writing Prize in 2018. She has performed in the Dublin Fringe Festival as the alter ego Dorothy Darker, while Fishamble Theatre Company produced her short play 'The Naked Truth' as part of their Shorts festival. She lives in Dublin and works as the Marketing Director for her family business, which hires and sells cherrypickers. She had a full hip replacement in September 2018 at the age of 44, which was her 6th hip operation. She said: "The poem�A farewell to hips�emerged from a meditation I did on the morning of my hip replacement surgery where I fondly thanked my hard working but problematic hip for all its efforts and sent it off on a dignified retirement. Being in control of my body helped in those anxious pre surgery moments to cope with feelings of loss. Rather than having something removed from my body, I had prepared an open space to welcome a new part. This poem is my respectful acknowledgement and letting go of the past, while keeping a hopeful eye on the future." Kyle Potvin’s chapbook,�Sound Travels on Water�(Finishing Line Press), won the 2014 Jean Pedrick Chapbook Award.�She is a two-time finalist for the Howard Nemerov Sonnet Award. 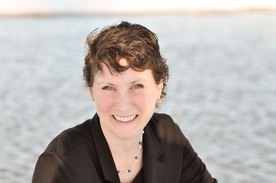 Her poems have appeared or are forthcoming in�Bellevue Literary Review,�Crab Creek Review, Tar River Poetry, The New York Times, JAMA, and others. 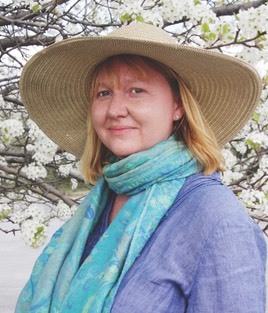 She is an advisor to Frost Farm Poetry in Derry, New Hampshire (USA), and helps produce the New Hampshire Poetry Festival. Kyle lives with husband and two sons in New Hampshire (USA). 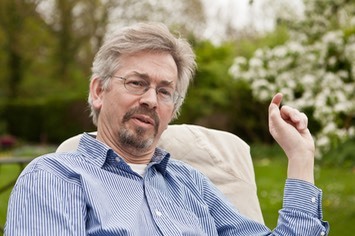 Simon Rae�is a prize-winning poet, biographer, broadcaster and novelist.�He presented Poetry Please! on Radio 4 for many years.�In 1999 he won the National Poetry Competition after twice coming runner-up. His collection, Gift Horses, was published in 2006. 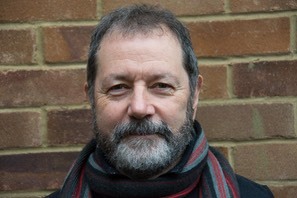 He has written novels for younger readers (Unplayable, Keras and Medusa’s Butterfly), and his first detective story, Bodyline, came out in 2015.�His latest crime story, The Pillbox Murders, is published by Nine Elms Books.� He lives in Wales. He said: "The Wheelhouse came from the experience of caring for my mother in the last months of her life.� The image of her as an old sea-captain steering indomitably into a storm cast her daily struggles in a heroic light and reflects my enormous respect for her." Hessom Razavi is a doctor and writer, born in Iran in 1976. He was raised in Tehran and Karachi, speaking Farsi and Urdu, before migrating to the UK and then Australia. He wrote his first poem in 2006, after a night of hospital shift work.� His poetry has since garnered prizes in Australia and overseas. Yiskah Rosenfeld balances solo parenting with teaching workshops in spirituality and creative writing around the San Francisco Bay Area. She holds a Master of Fine Arts degree in poetry and a Masters degree in jurisprudence and social policy. As part of her undergraduate studies, she spent a year at Durham University. Yiskah was the runner up for the 2019 Jeff Marks Poetry Prize. 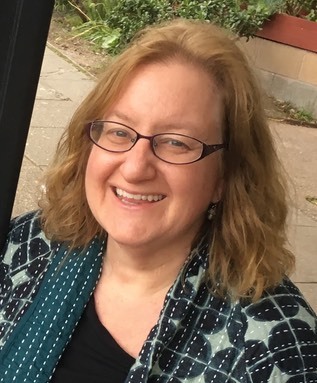 Other awards include the Anna Davidson Rosenberg Poetry Prize and the Reuben Rose Memorial Award; her work was nominated for a Pushcart Prize. Poems have appeared in print journals such as The Bitter Oleander, Lilith Magazine, Rattle, and The Seattle Review; poems appear on-line in thebluelyrareview.com, theravensperch.com, and typishly.com. Along with teaching poetry at Temple University and the Brandeis Collegiate Institute, Yiskah served as a patients rights advocate for psychiatric hospitals. She said: "Learning the Essentials�describes my father's last weeks living and dying with mantle cell lymphoma. I learned of my father's diagnosis with this terminal cancer the same week I learned I was pregnant. I have always felt blessed that my father and child had two years to enjoy each other.� The poem turns on the Hebrew word etzem, which can be translated as essence or essential, but also means bone. I was interested in how my cerebral father, a brilliant social psychology professor who studied the development of language, became less verbal himself, stripped down to the skeletal essence of what it is to be human. Receiving this commendation is particularly meaningful as my mother passed away just two months ago. She is buried beside my father in the small Jewish cemetery in Eudora, Kansas. Mara Adamitz Scrupe is a poet and visual artist; she is the author of five poetry collections,�BEAST, (winner, 2014 Stevens Manuscript Prize (NFSPS Press, 2014), Sky Pilot�(Finishing Line Press, 2012), Magnalia, (2018 Eyewear Press Chapbook Competition) and a daughter’s aubade/ sailing out from Sognefjord (winner, Fledge Poetry Chapbook Competition, Middle Creek Press, 2019). Most recently she is the winner of the 2018 Grindstone Literary International Poetry Competition, and the Brighthorse Press Poetry Book Prize for her manuscript in the bare bones house of was which will be published in late 2019. Her poems have appeared in The London Magazine, Comstock Review, Off the Coast, Narrative Magazine, The Cincinnati Review, Bare Fiction, Matador Review, Ruminate, Crosswinds Review, Crab Creek Review and Sentinel Quarterly Literary Review (UK), among others. She has won or been shortlisted for numerous literary awards including Fish Poetry Prize, BigCi Environmental Writing Fellowship (Australia), Aesthetica Creative Writing Award (UK), Erbacce Poetry Prize, The Plough Poetry Prize, Ron Pretty Poetry Prize (Australia), Periplum Book Award (Plymouth University, UK), Sentinel Quarterly Book Award (London), Stiwdio Maelor Poetry Prize (UK), Cornwall Poetry Festival Competition (UK), University of Canberra Vice-Chancellor’s Poetry Award (Australia), and the National Poetry Society Competition (UK). She said: "The poem I Will Not�began in my notebook just after my husband died of a heart attack while on a business trip this past November. I was listing the things I found too painful to write about, the images that continued to trouble me, and these early fragments became one of the first poems I was able to fashion from the sharpness of my grief." 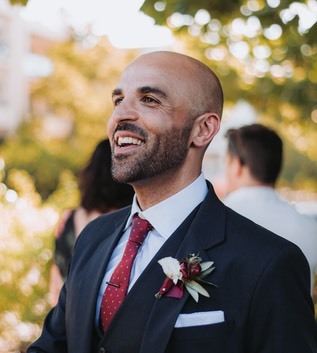 Michael Swan works in English language teaching and applied linguistics. He has been writing poetry for many years, and clings to the belief that it is possible to write good poetry that is neither difficult nor boring. His poems have been published widely, and have won a number of prizes. His first full collection, When They Come For You, was published by Frogmore Press in 2003; his second, The Shapes of Things, was published by Oversteps Books in 2011. 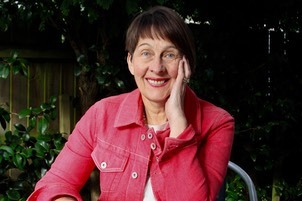 Marjory Woodfield is a teacher and writer from New Zealand who has also lived in the Middle East. Her writing’s appeared in various publications, both print and online: BBC, Raven Chronicles, Cargo Literary, Nowhere, Flash Frontier, takahē. 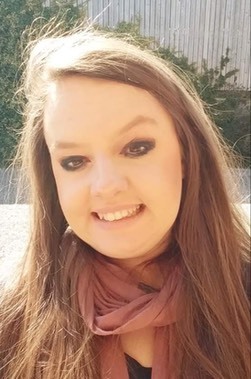 �In 2017 she was long listed for the Alpine Fellowship (Venice), and in 2018 won the Dunedin UNESCO City of Literature Robert Burns Poetry Competition. She will be published in the upcoming Frogmore Press anthology Pale Fire - New Writing on the Moon, and Best Small Fictions 2019, Sonder Press. �The inspiration for this poem was a visit to the Chelsea Physic Garden. I’ve always been fascinated by the medicinal properties of plants and this small secluded apothecary garden is one of my favourite places in London. The time of my visit coincided with their exhibition, An Elixir of Letters. I joined a tour and listened to stories about the various herbs and plants: inedibles as well as edibles. �As I left, the inscription,�A Laughing Pomegranate�by Rachel Grundy, caught my attention. It reminded me of my time in the Middle East. It was the perfect end to my visit and later found its way into my poem as a small final flourish. Steve Xerri�is a former teacher, musician & designer now making pots�and writing poetry. He won the title of Canterbury Festival Poet of�the Year 2017, and his work has been published or is forthcoming in�Acumen,�Amaryllis,�Atrium,�Brittle Star,�Cinnamon anthology�From Hallows to Harvest,�Clear�Poetry,�Envoi,�Ink Sweat and Tears,�� Bh�al�anthology�Five Words Vol XII,�The Clearing,�The�Interpreter's House,�Picaroon,�The Poetry Shed,�Poetry Society Newsletter,�Proletarian Poetry,�Stride�Magazine�and�Words For The Wild. He said that the source of his poem Worried Well lies pretty much in autobiography and please don't tell his GP.